The colonial era, we are told, is over. The imperialists have retreated to their shores and the third world now happily governs itself. For much of the planet, this is true. India and China, two great colonial occupations of the 19th century, have wrested control of their economy and food security. It is largely sub-Saharan Africa, home to 1/6 of humanity, which remains the red-headed stepchild of international relations. These rich lands were coveted by right-wing industrialists, and their people's uplift coveted by left-wing do-gooders. The footprint left by the former? Ports, canals, roads, railways, and a functioning government (their own). By the latter? Churches, missions, schools, hospitals. What both camps agreed upon, though, was that the colonized were not able to provide these things for themselves. Upon which they still agree today. While many believe we live in a 'post-colonial' world, we here at Those Who Can See argue that we do not. 'We're all equal,' sing both the right and the left. But their actions do not match their words. We believe the colonial project is, on the contrary, roaring along as full-steam as it ever did. What is the evidence? The West needs tropical products--rubber, metals, cocoa, palm oil, coffee. White men's bodies are inadapted to work in these cimates. Tropical natives are incapable of organizing large-scale export industry. Conclusion? 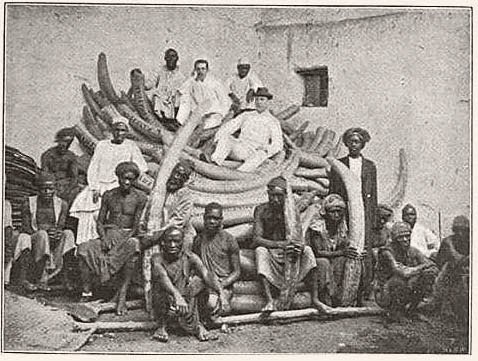 Whites must commandeer colored men to extract and export these products to the West. There was simply no other choice. Fair enough. Administering the tropics from the temperate regions: A thing of the past? Nineteenth century anti-imperialists complained that tropical economies were at the mercy of western business. And today? On independence, the political economy of mining epitomized the limits of the political power and economic control gained by newly sovereign African nations. 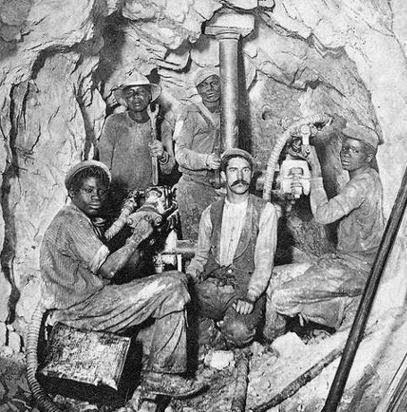 In economies dominated by mineral exports, this most important sector was an externally-oriented enclave only narrowly linked with the rest of the domestic economy through the taxes paid to the state by the mining companies and their small pool of mainly lower level African workers. Can things be said to have changed since? Most state mining companies functioned poorly, starved of investment in plant and machinery, and denuded of exploration activities. They also suffered from a general lack of research and development to keep mining and processing operations competitive. Especially in base metals, unit mining costs soon outstripped metal prices. In 2007 a “Policy Big Table” was organized by the United Nations and the African Development Bank, ... [which led to] ... the  African Mining Vision. The Vision ... re-affirms an industrialization strategy anchored on minerals and other natural resources as critical for achieving the Millennium Development Goals. 'Policy Tables,' 'Mining Visions,' 'Millenium Goals'... We are at a loss to understand how a race of people who is the equal of everyone else needs to be hand-held in this way for decades. 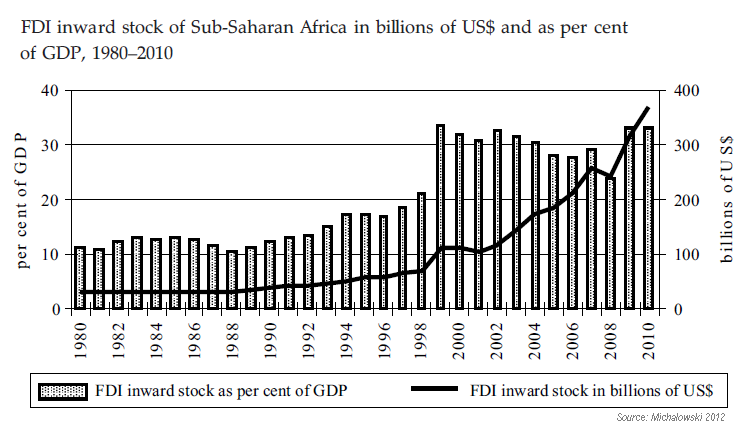 And mining is the key to African development, just as it was in colonial times. Who controls it? 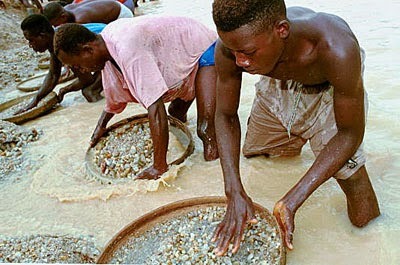 Based on the value of production at the mining stage, of 33 major mining countries of the world, foreign affiliates were responsible for virtually all production in 2005 in some Least Developed Countries, such as Guinea, Mali, Tanzania, Zambia, Botswana, Gabon, Ghana, and Namibia. 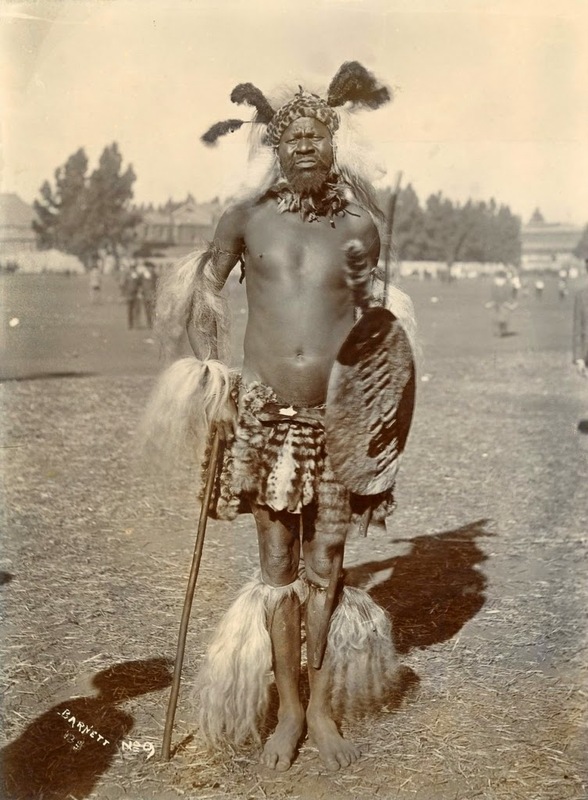 "I have been instructed by Colonel Colvile to make a treaty with [tribal chief] Kavalli, by which he should place himself under British protection;... This signing is an amiable farce, ...The modus operandi is somewhat as follows: A ragged, untidy European, who in any civilized country would be in danger of being taken up by the police as a vagrant, lands at a native village; ... the chief comes and receives his presents; the so-called interpreter pretends to explain the treaty to the chief. This report includes a detailed analysis of five privatization deals conducted through the sale of stateowned [Congolese] assets to foreign investors operating through offshore companies registered in the British Virgin Islands and other jurisdictions. We estimate the total losses sustained in these deals as a result of undervaluation of the assets at US$1.3 billion - –more than double total budget spending on health and education. ... The underpricing of concessions generates large returns for offshore companies. In the case of the D.R. Congo, we estimate that underpricing generated returns of around 500 per cent for the offshore companies involved. In Guinea, the price secured by another offshore company for a concession in iron ore represented a return in excess of 3,000 per cent, with the agreed price exceeding Guinea’s GDP. Caveat emptor? Or exploitation of the weak by the strong? 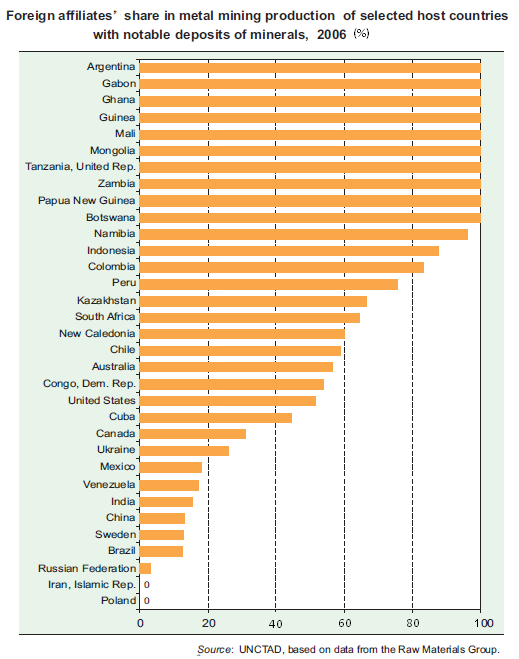 Africa’s power sector is dominated by South Africa in Southern Africa, Egypt and Morocco in North Africa and Nigeria in West Africa. 82 % of Africa’s power comes from the northern and southern regions alone, with three-quarters coming from five countries - Egypt, South Africa, Libya, Morocco and Algeria. In other words, 75% of Black Africa's electricity is provided to them by Arabs or Euros. 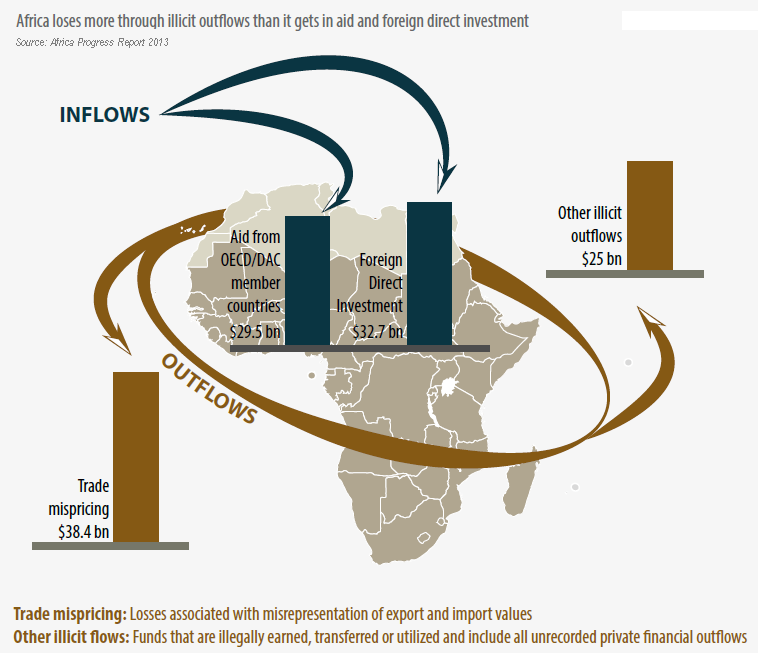 Africa's other major wealth source is land. 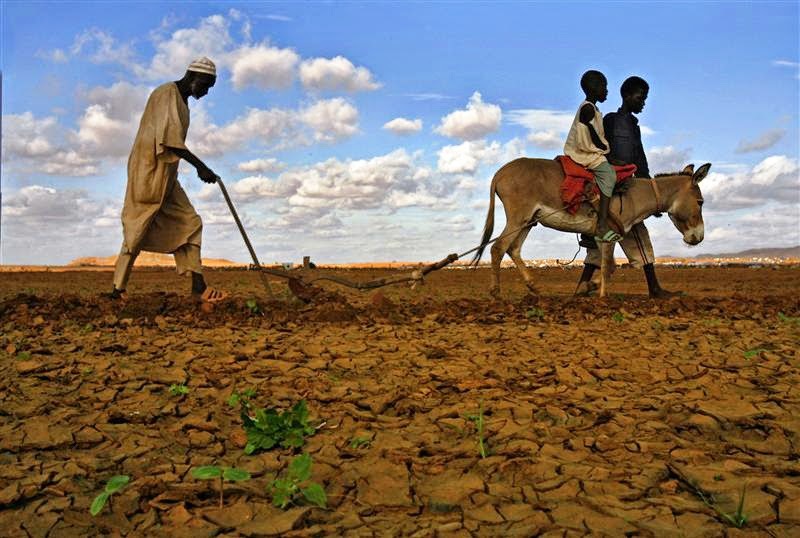 Fifty years after independence, has its agricultural revolution come to pass? One-third of the Gambela area in western Ethiopia is being leased for the next 50 years by the Bangalore food company Karuturi Global. Forests are being clear-cut, swamps drained, rivers diverted and whole villages moved to make way for flower farms and palm-oil and rice plantations. Half of the Democratic Republic of the Congo's agricultural lands are being leased to grow crops, including palm oil for the production of biofuels. Perhaps the largest single venture to date is the ProSAVANA Project in northern Mozambique, where an area roughly the size of Switzerland and Austria combined has been leased by Brazilian and Japanese companies to produce soybeans and maize for export. So fifty years after independence, Africans still farm at such a primitive level that foreigners are begging to come in and be allowed to cultivate the land profitably. Her minerals, her electricity, her agriculture...Outsiders still call the tune in large swathes of Africa's economy. 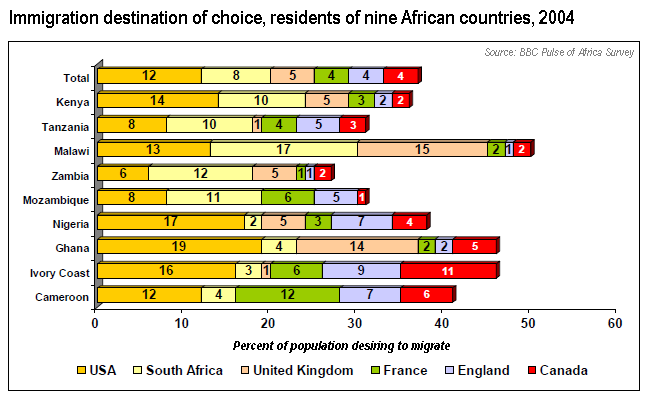 A 2004 Africa poll by the BBC found more specific data for nine countries. Striking is the fact that the five of the six most popular destinations are not just NW Euro-run, but specifically Anglo-run. 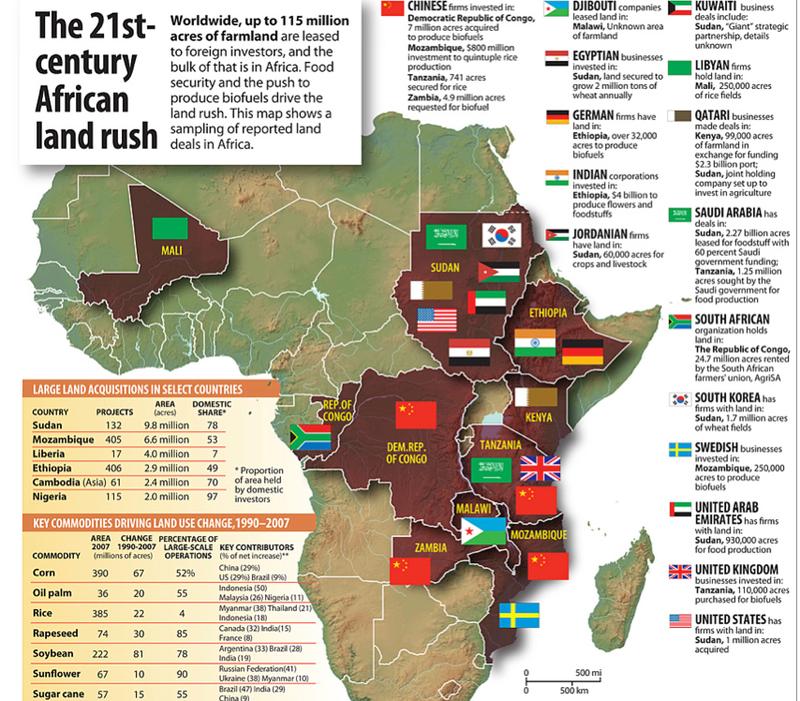 One hundred years ago, then, Africa's wealth was exploited largely by foreigners. We find it hard to say differently today. For leftists today, it can be jarring to hear what came from the mouths of their ideological forebears. 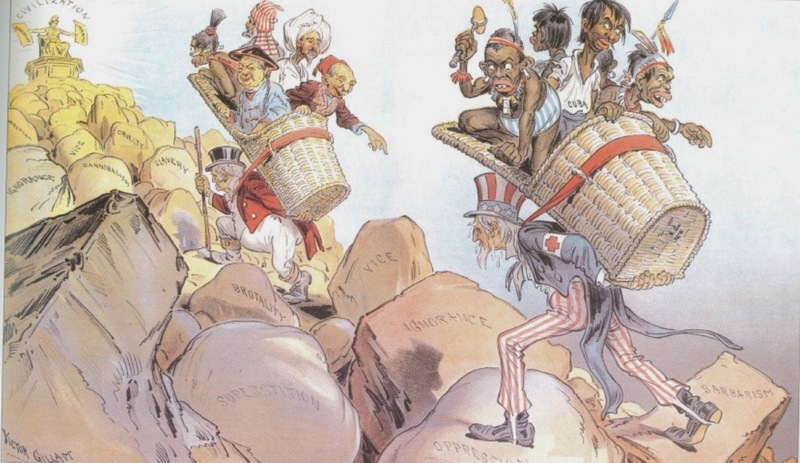 Whether imperialist or anti-imperialist, yesterday's progressives all had one thing in common: They were skeptical the colored races could civilize themselves. And despite what he says, today's leftist clearly feels the same. 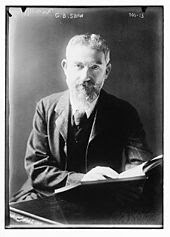 Progressive imperialist George Bernard Shaw, member of the Fabian Society, in 1900:. As for parliamentary institutions for native races, that dream has been disposed of by the American experiments after the Civil War. They are as useless to them as a dynamo to a Caribbean. 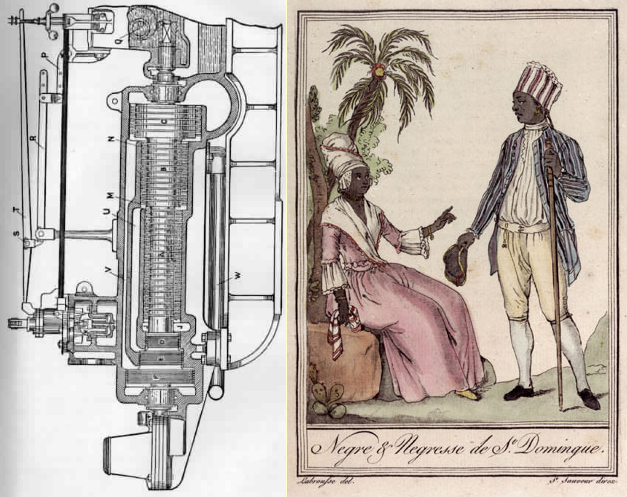 A dynamo and a Caribbean: Never the twain shall meet? In a word, whites can rule themselves, but coloreds must be ruled by us. To those who utter the single cry of warning, "laissez faire, hands off, let these people develop their resources themselves with such assistance as they ask or hire, undisturbed by the importunate and arrogant control of foreign nations," it is a sufficient answer to point out the impossibility of maintaining such an attitude. Suppose a federal government of European nations [proto-UN] and their colonial offspring to be possible in such wise that internal conflicts were precluded, this peace of Christendom would be constantly imperilled by the "lower races," black and yellow, who, adopting the arms and military tactics now discarded by the "civilised races," would overwhelm them in barbarian incursions, ...We cannot get the whole world to the level of civilisation which will admit it into the alliance; the Powers outside will be a constant menace. Replacing war with international eugenics...Decidedly our great leftists of yesteryear had some interesting policy notions. 'Backward races,' 'degenerate and unprogressive,' 'non-adult races,' 'semi-savages'....Is this really the leftists speaking? Indeed it is. But this progressive notion that the colored races are not fit to help themselves surely died with the last imperialist? An enlightened colonial policy is its own gravedigger. The wards grow up all the sooner; they cut off their wardship, and the trustees can no longer in good conscience deny their claims. 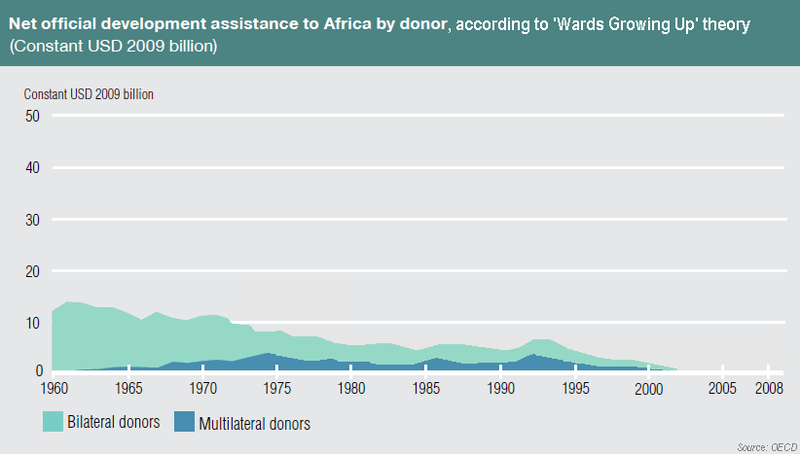 In aggregate terms over the course of the last 50 years, foreign aid transfers to governments in Sub-Saharan Africa totaled a staggering $1 trillion. 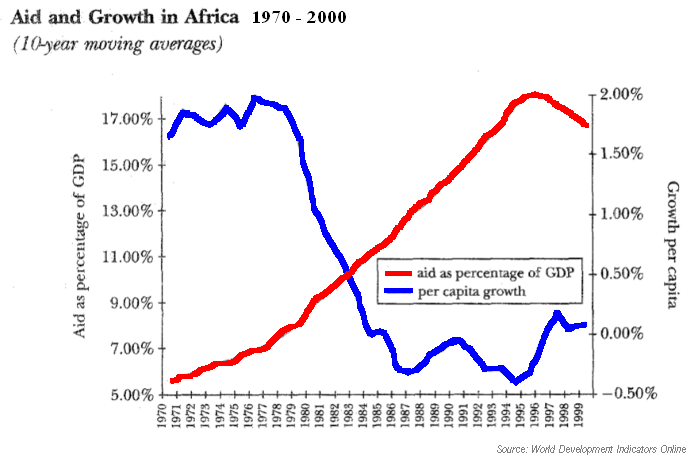 Nonetheless, as shown by the figure below, over the same period of time, growth of GDP per capita in Africa actually registered a marked decline and was for many years even negative. Throughout history and pre-history all countries everywhere got by perfectly all right without any ‘aid’ at all. Furthermore, in the 1950s they got by with much less ‘aid’ than they did, for example, in the 1970s--- and were apparently none the worse for the experience. 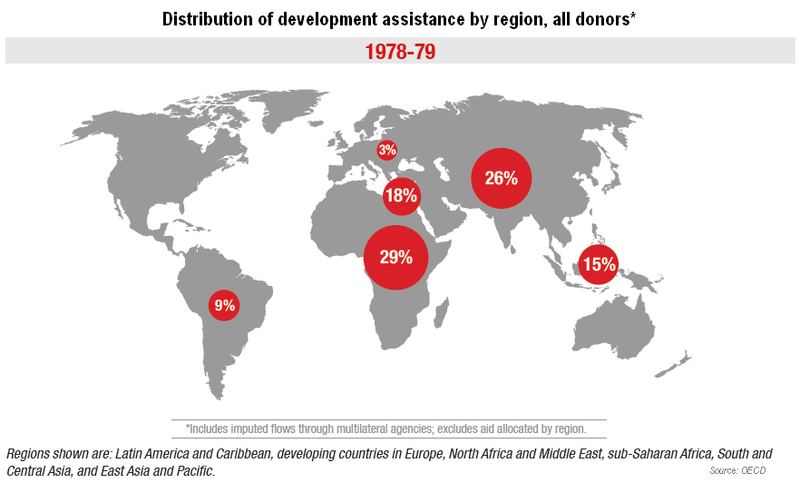 Now, suddenly, at the tail end of almost sixty years of development assistance, we are told that large numbers of the same countries have lost the ability to survive a moment longer unless they continue to receive ever-larger amounts of ‘aid’. 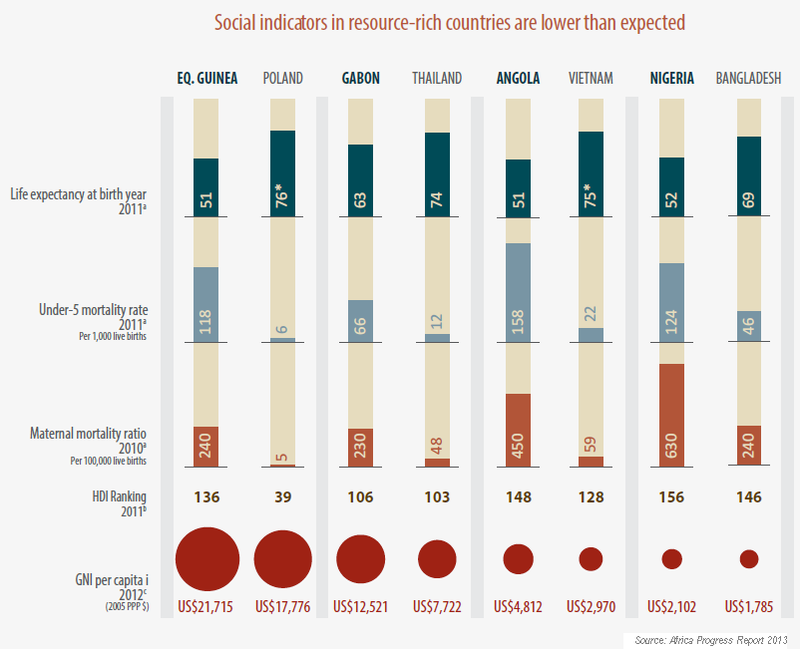 If this is indeed the case ---and if the only measurable impact of all these decades of development has been to turn resolute and tenacious survivors into helpless dependents ---then it seems to me to be beyond dispute that ‘aid’ does not work. 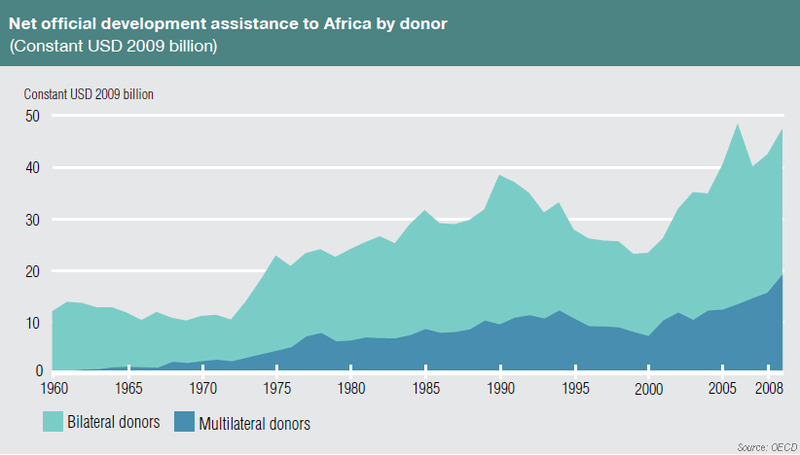 It behooves us to note, however, that the amount of aid coming into Africa is in fact lower than the amount its leaders are illicitly pocketing--one more reason to keep the aid flowing? During the sixteenth, seventeenth, and eighteenth centuries, a great part of the richest regions in the tropical countries of the earth passed under the dominion of the four great sea powers of Western Europe : Spain, Holland, France, and England ... The territories of the weaker peoples were invaded, taken possession of, and exploited for the benefit of the more vigorous invader. ...There was much cruelty to weaker races. Towards the end of the eighteenth century... the effects of the altruistic development which had been so long in progress were becoming generally evident,...The right of occupation and government in virtue of conquest or force tended, it was felt, to become an anachronism. ... because of the lack of moral force on the part of the stronger peoples to initiate an effort involving a principle antagonistic to the spirit governing the development which these peoples were themselves undergoing. Where did this new ethical push come from? 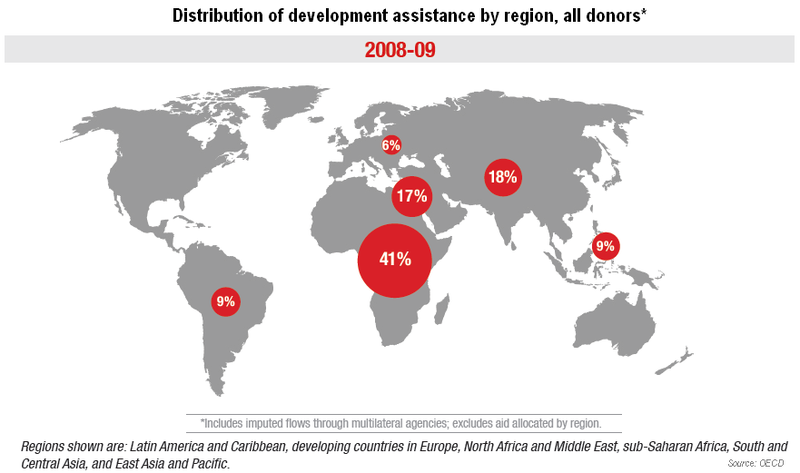 Today, Africa’s development plans are drawn thousands of miles away in the corridors of the IMF and World Bank. When the More Able bump up against the Less Able, they find 'leaving them alone' nearly impossible. Our imperialist forebears admitted freely what we avow only in our secret hearts: Sub-Saharan Africa remains, relative to the West, so much Less Able that we are unable to stop ourselves from meddling. This simple truth births many policy implications. We shall explore them next time. (1) Kidd, Benjamin. Control of the Tropics. NY: MacMillan, 1898. 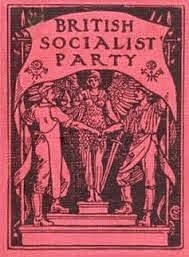 (2) Shaw, George Bernard and the Fabian Society. Fabianism and the Empire. London: Grant Richards, 1900. 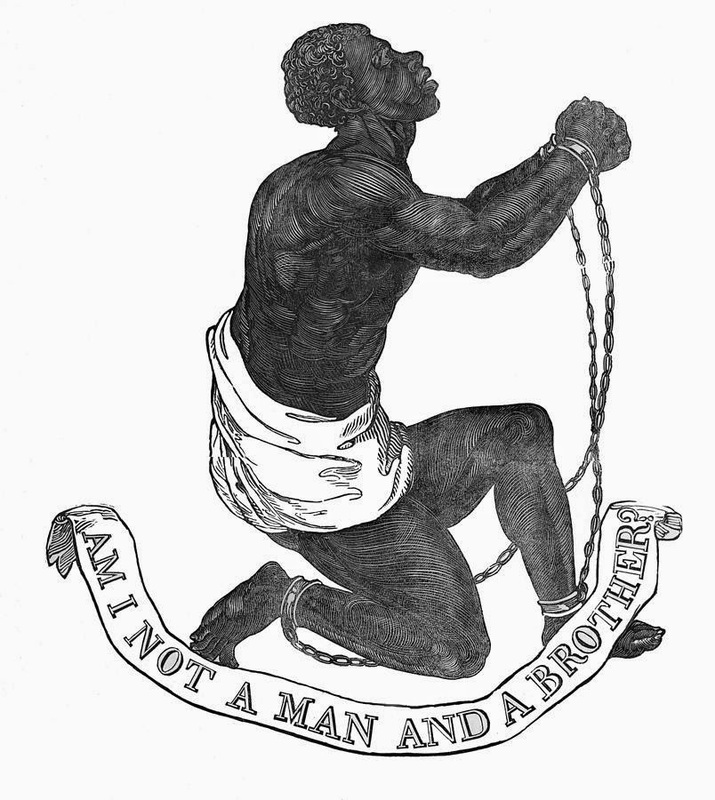 (3) Hobson, J.A. Imperialism: A Study. London: Allen & Unwin, 1905. (4) Hinden, Rita. 'Socialism and the Colonial World,' in New Fabian Colonial Essays. London: Hogarth, 1959. (5) Levin, Michael. J.S. Mill on Civilization and Barbarism. London: Frank, 2004. (6) Feuer, Lewis. Imperialism and the Anti-Imperialist Mind. Buffalo: Prometheus Books, 1986. A great piece of research and it is great to see you back. I question that mining figure for Argentina though. One other point: isn't one thing lacking, that distinguishes today's colonialism from European (especially British) colonialism in the past, is in the field of governance and public administration? Today these underdeveloped countries govern themselves, after a fashion, whereas in the past the colonial powers were the actual sovereigns and provided a lot of the trained (literate, honest) bureaucratic personnel required to administer large territorial areas. Griffe's smart fraction theory comes to mind in this regard, especially in places like Haiti, which, even though not riven by tribal divisions (as far as I know) simply lack the necessary human capital to administer anything more complex than a brutal dictatorship. Immigration proponents in the West, instead of encouraging the best and the brightest in these poor countries to migrate to the West, might be on higher moral ground if they encouraged more of our own native-grown best and brightest to emigrate to these areas instead. Just a thought. Maybe what you do on this site should be called meta-research. Policy number °1 should be to STOP taking in the cream of Africa's cognitive elite. I know loads of Blacks like this in France, their countries' engineers, computer programmers, math teachers, etc... What are they doing here? Their skills are needed in their homelands! But just like we cry 'Buy American!' while filling our homes with Chinese geegaws, intellligent Africans find it much easier to live the good life in white-run countries than deal with the potholes, power outages, and corrupt cops back home. Can I really say I wouldn't do the same in their shoes? As for sending our best and brightest to emigrate, wasn't that a big part of the old colonial project? 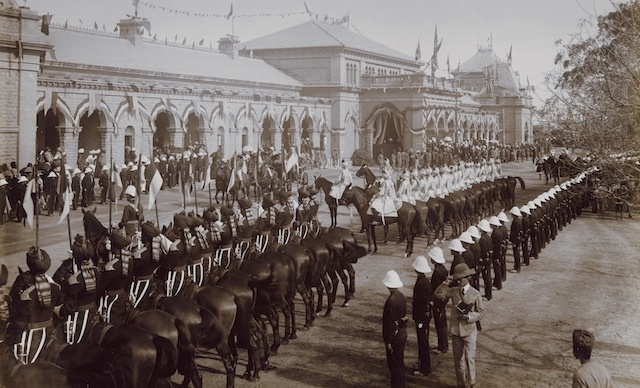 There were some excellent British administrators, particularly in India. John Stuart Mill was one, he made an impassioned Defense of the East India Company before Parliament in 1858, enumerating in minute detail the good works they'd done. If such a thing were tried today, it may be seen as neo-colonialism. But as that Gallup poll above shows, huge numbers of Africans would rather live under Euro than Afro rule. 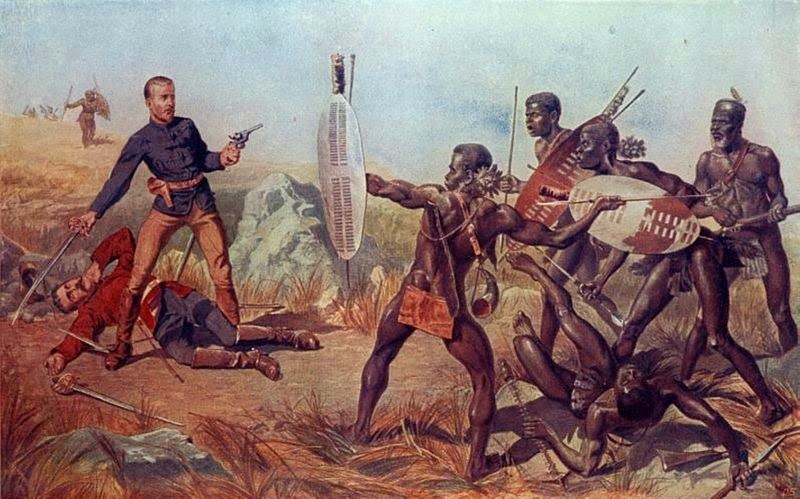 At what point will Western Whites admit that self-government in Africa has led to more misery than colonialism did? Maybe these new people from the West could be missionaries, who actually become citizens of the countries they emigrate to. That wouldn't be colonialism strictly speaking would it? Of course they would have to be accepted by the host countries. Looks unlikely now, but who knows what tomorrow will bring? Haven't read this post yet (for some reason I'm phenomenally busy lately), but I expect to so soon. Very nice to see you. Yes, I was off the internet for a few months and got very behind on my blog reading, I'm trying to catch up now especially on yours and HBD Chick's. There are only so many hours in the day, especially with the bundle of joy you are dealing with! I'm anxious to see what you have coming down the pipe. Hope you're sleeping OK too. Only a tiny amount of Chinese territory actually came under the direct control of European powers. China, like Turkey, maintains a civilization which differs from European and American civilization. Without begging the question as to whether the Chinese civilization is a lower or higher one than ours, we have to face the fact that its effect is to prevent Europeans from trading in China, or from making railway and postal and telegraph routes across it for the convenience of the world in general. Now the notion that a nation has a right to do what it pleases with its own territory, without reference to the interests of the rest of the world, is no more tenable from the International Socialist point of view -- that is, the point of view of the twentieth century [!] -- than the notion that a landlord has a right to do what he likes with his estate without reference to the interests of his neighbours. So even though in the end the penetration was small, I stand by my statement that in the 19th century China was a 'colonial preoccupation' for the West. Shawly you mean GB and not JS? The quote is from "Fabianism and Empire", published in 1900, edited/written by GB. 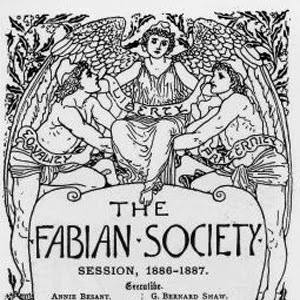 The Fabian Society was founded in 1884, some ten years after JS' death in 1873. You're right, mea culpa, the quote was indeed from George Bernard Shaw and not John Stuart Mill. Thank you for the correction.